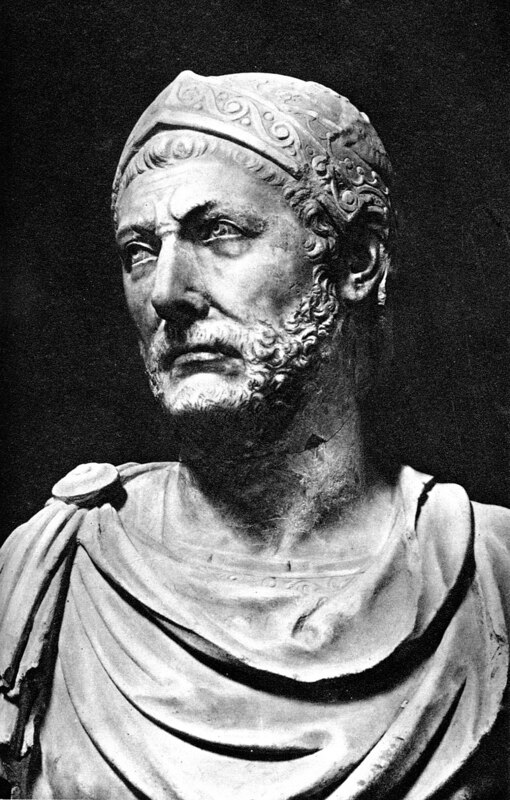 At the conclusion of the First Punic War the Carthaginians lost territory, gold, and several armies. They crucified their own generals in anger. A city once wealthy from trade, Carthage now had no money to pay its mercenaries. These mercenaries revolted, starting another brutal conflict that nearly saw Carthage destroyed. Only with the leadership of the general Hamilcar Barca did Carthage put down this revolt. While they were busy fighting their former soldiers, Rome took advantage of Carthage’s distraction to take the island of Sardinia from them. This visualization will track Hannibal from his youth up through his campaign in Italy and to his eventual defeat back in Africa. The story of the Second Punic War has been told by everyone from Polybius to Livy to Mike Duncan. This website exists to bring this ancient story into the modern world by letting you go on campagin with Hannibal across the Mediterranean. It is the Mapping Ancient Text project's first attempt to tell a narrative through a map. You can learn more about the MAT project here. If you are interested in how we created this website, you can find the source code right here on my Github account. If you have thoughts, comments, or suggestions about this site please feel free to contact me at dfolivieri@gmail.com.